Some of my other critters. 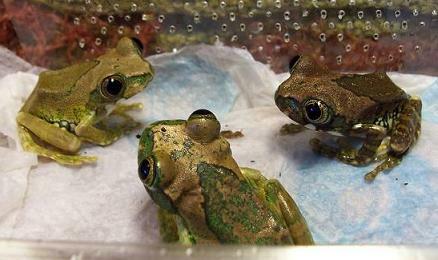 My Peacock Tree Frogs about to move in to their new home. My Bearded Dragons (Angus and Maggie) - although I very quickly learned not to line the viv with sand!! 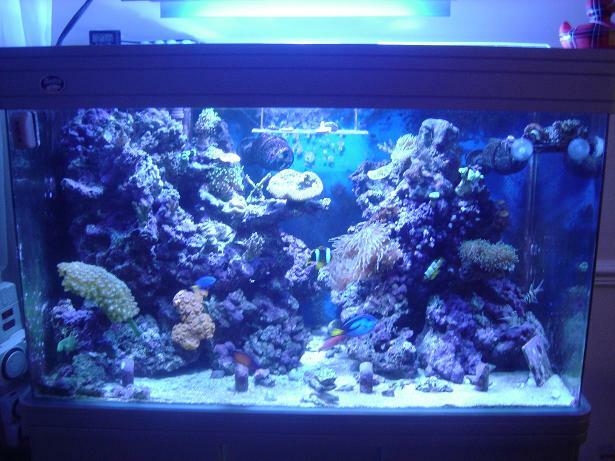 One of the 3 marine fish tanks. Very nice. We have a bearded dragon too and they are such great pets! We use sand with our girl Sonja (though she has turned out to be a male, after all). I have some skinks in my house nice lizards to have as pets great personality too makes me laugh all the time!